4 Channel H.264 Networked High Definition CCTV Video Recorder HD DVR with Real-time Display, Playback, Alarm RJ45, USB and Mobile Access. 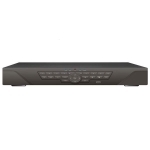 Product Features: H.264 Compression Format HDMI Interface Powerful CMS. 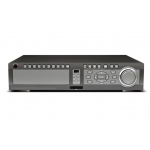 ..
20 Channel H.264 Networked High Definition CCTV Video Recorder HD DVR with Real-time Display, Playback, Alarm RJ45, USB and Mobile Access. 16 Channel Full D1 H.264 Networked High Definition CCTV Video Recorder HD DVR with Real-time Display, Playback, Alarm RJ45, USB and Mobile Access. 8 Channel H.264 Networked High Definition CCTV Video Recorder HD DVR with Real-time Display, Playback, Alarm RJ45, USB and Mobile Access.